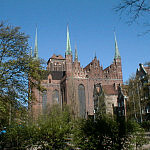 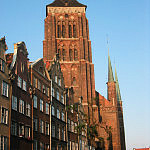 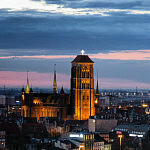 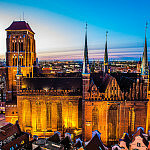 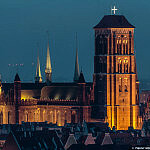 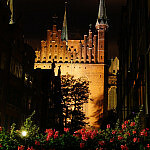 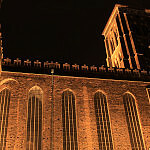 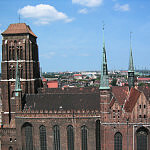 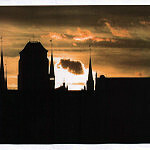 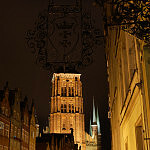 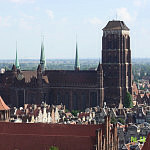 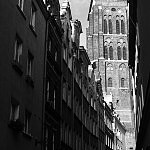 St. Mary's Church - the largest red-brick gothic church in Poland and, indeed, in Europe.It was built between 1343-1502. 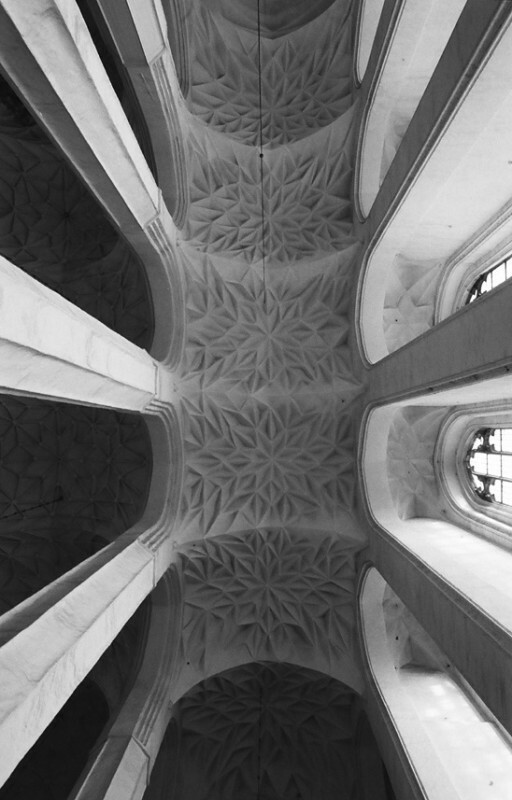 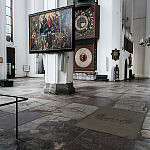 The nave is 105 m long. 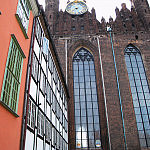 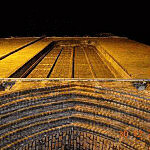 The roof is covered in almost 8 000 m2 of red ceramic roof tiles. 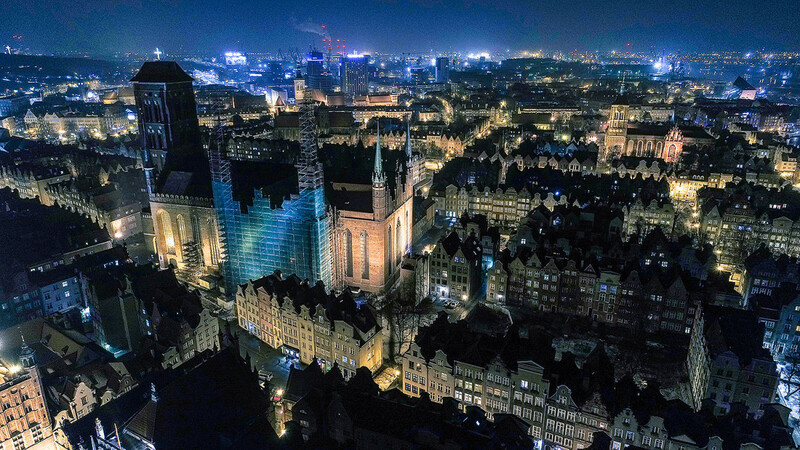 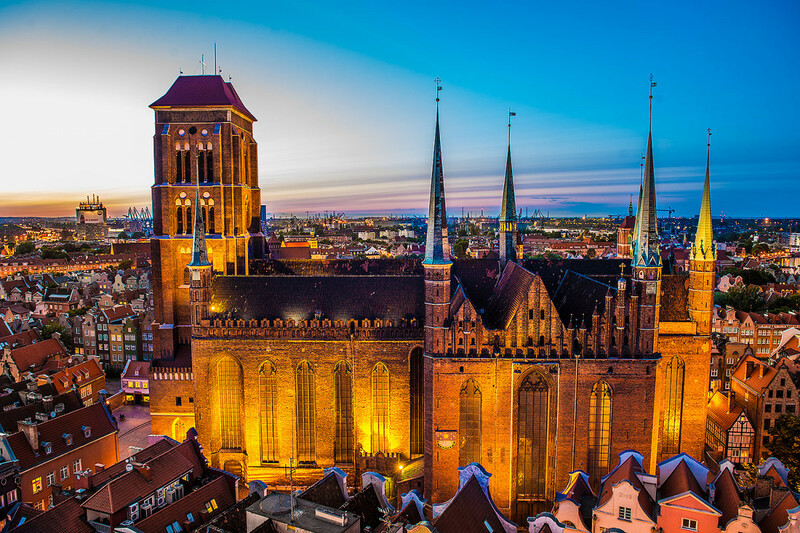 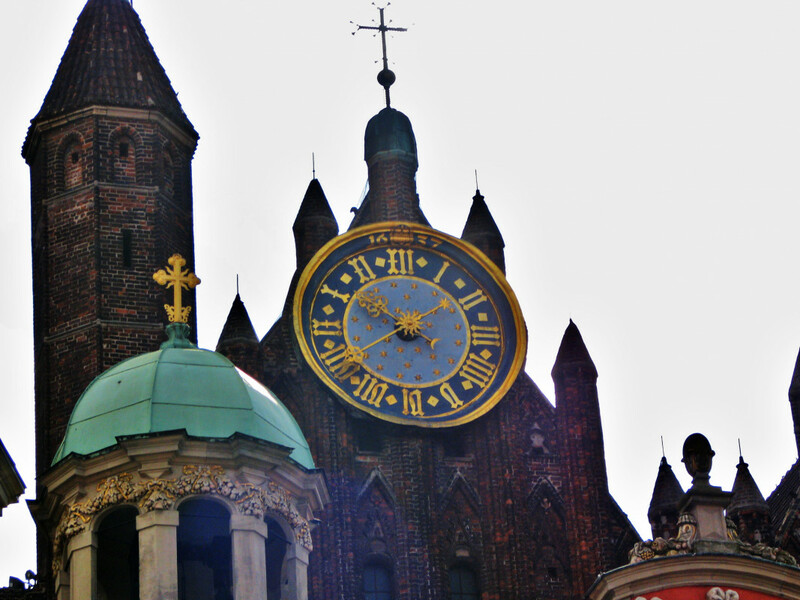 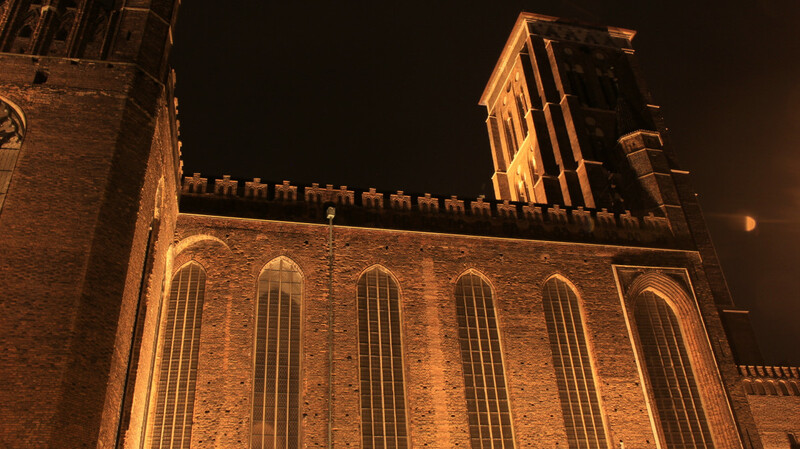 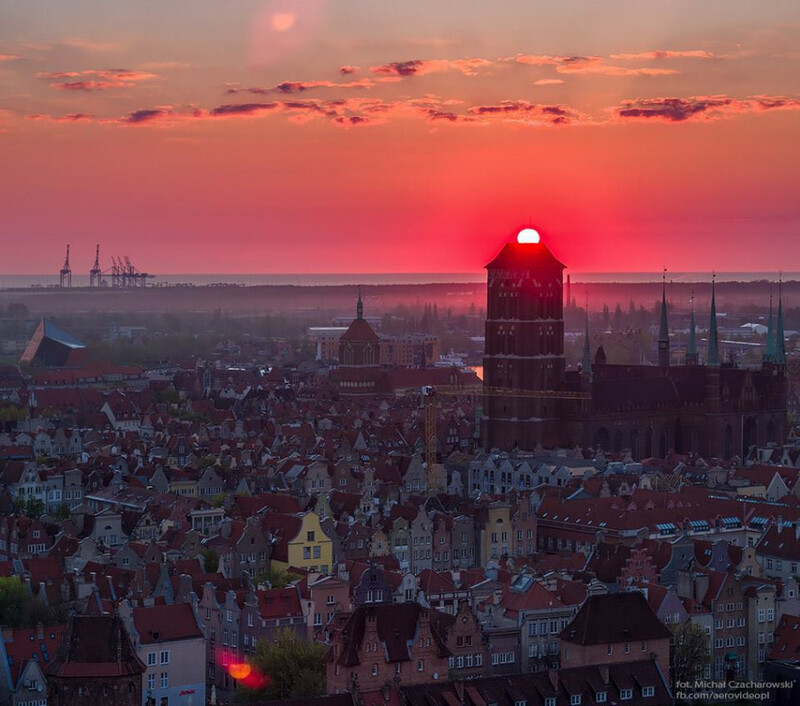 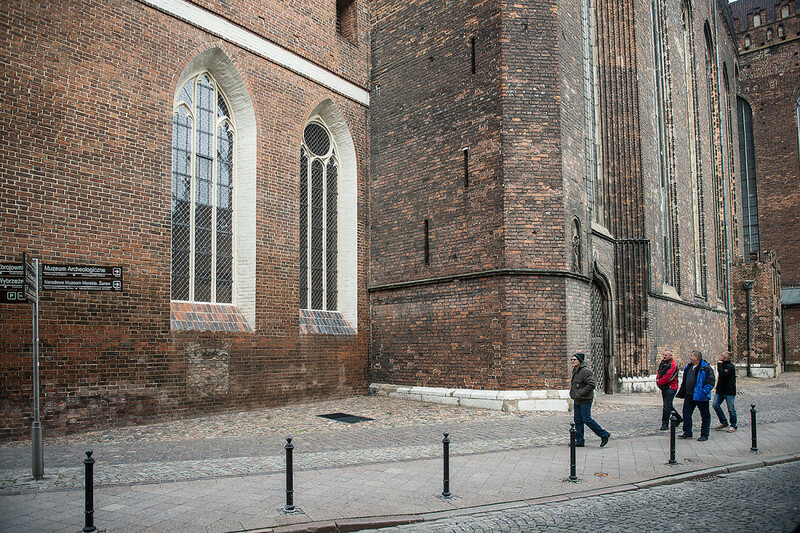 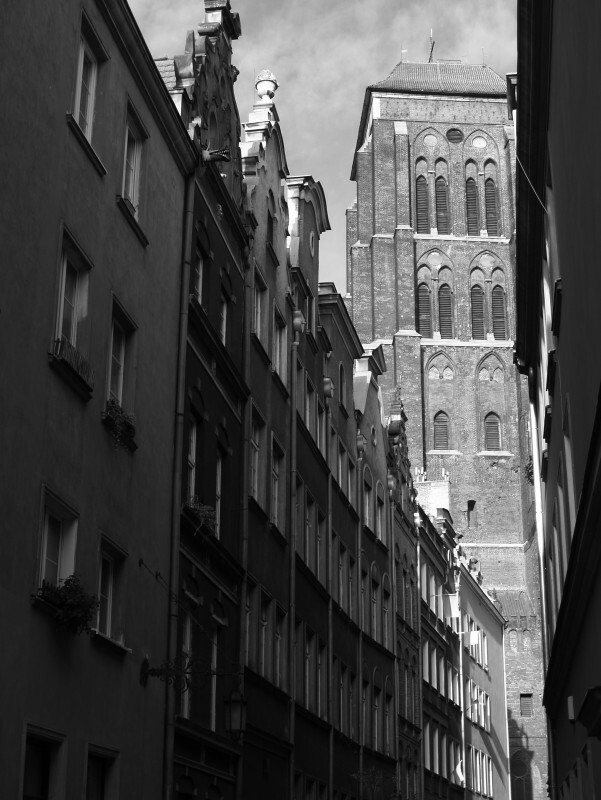 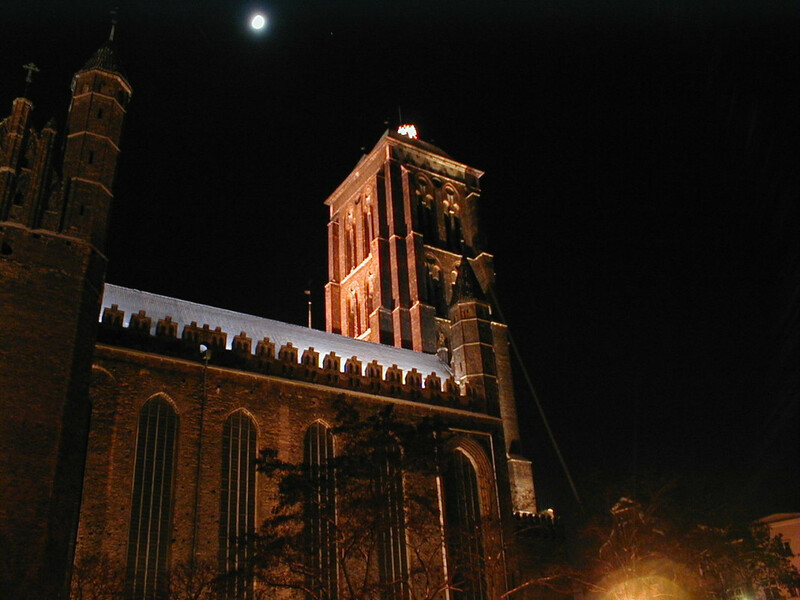 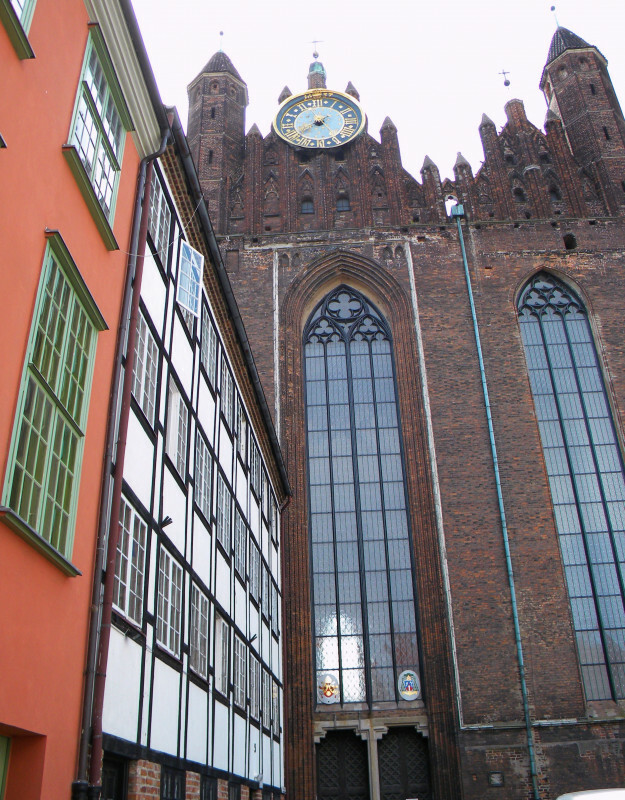 St. Mary's Church - the largest red-brick gothic church in Poland and, indeed, in Europe. 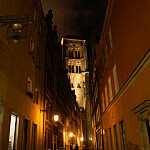 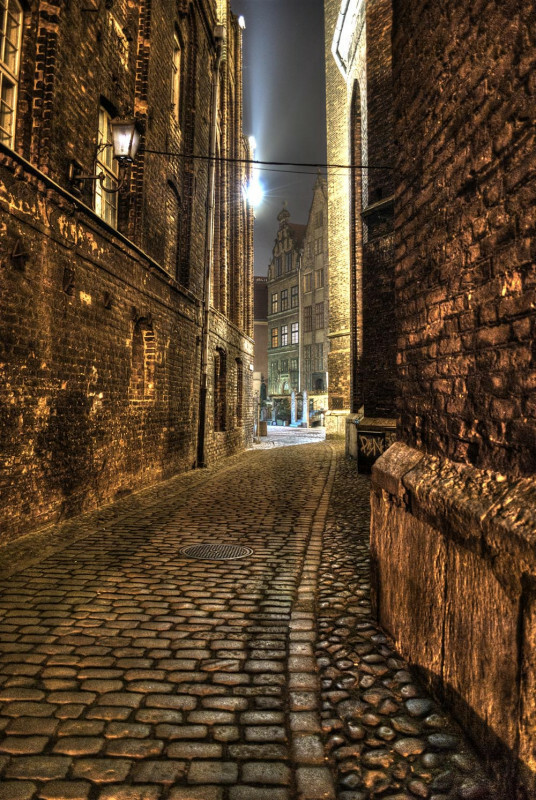 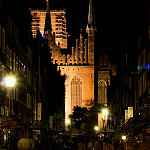 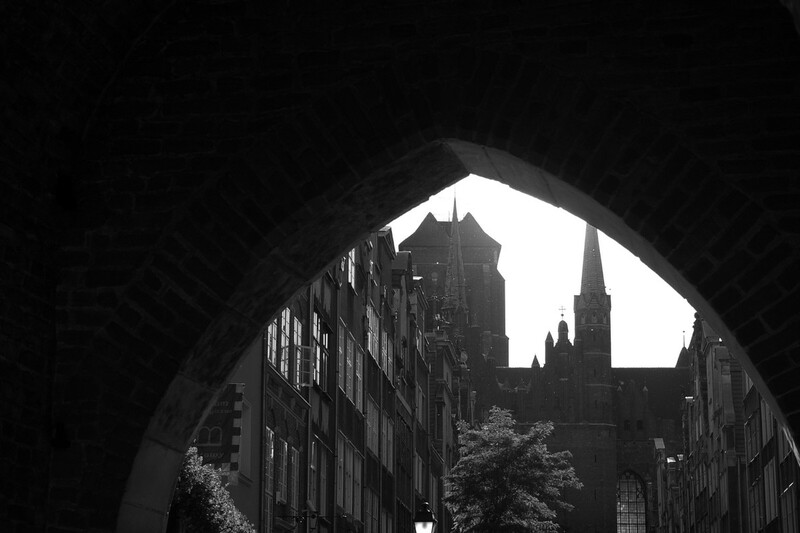 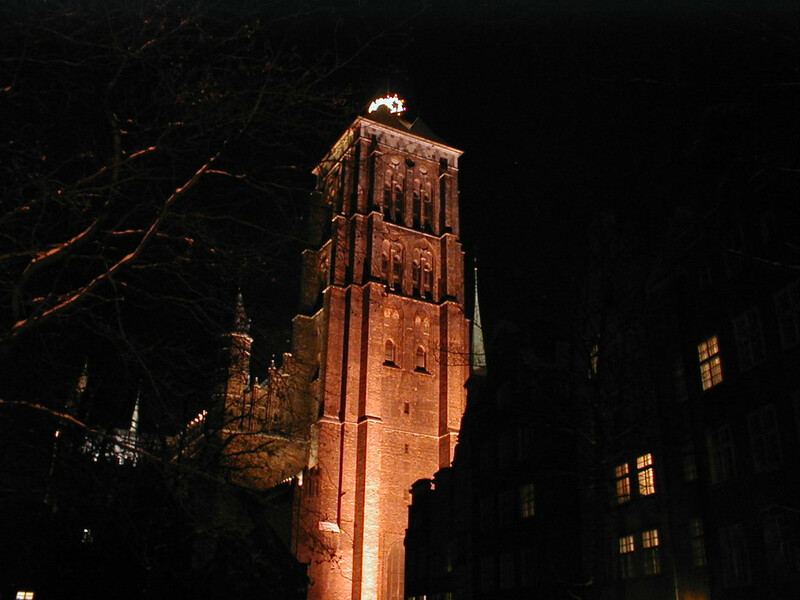 It was built between 1343-1502. 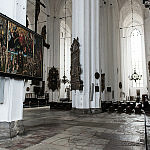 The nave is 105 m long. 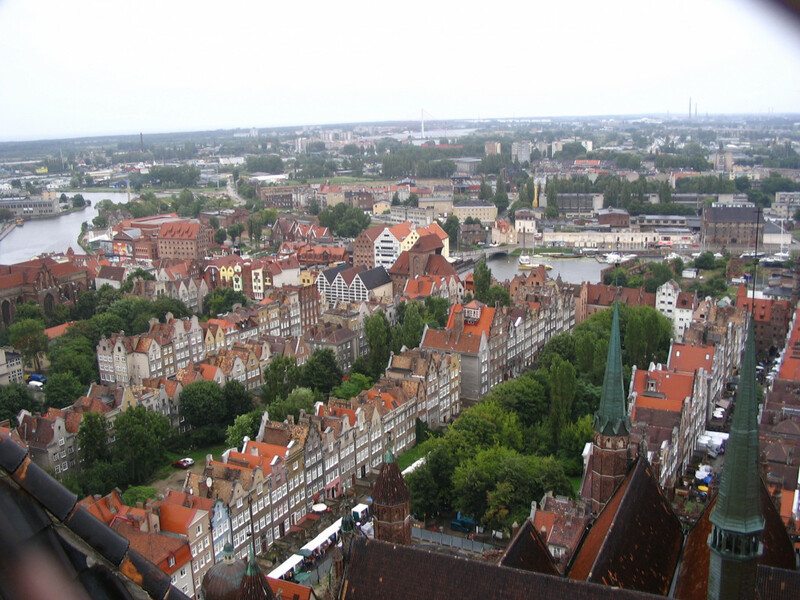 The roof is covered in almost 8 000 m2 of red ceramic roof tiles. 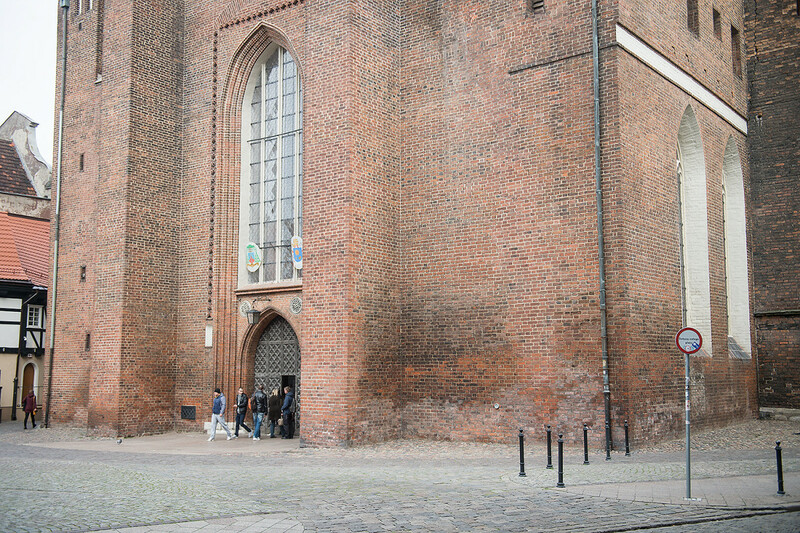 The church occupies a space of approximately half a hectare and can accommodate over 25000 people. 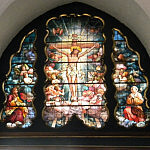 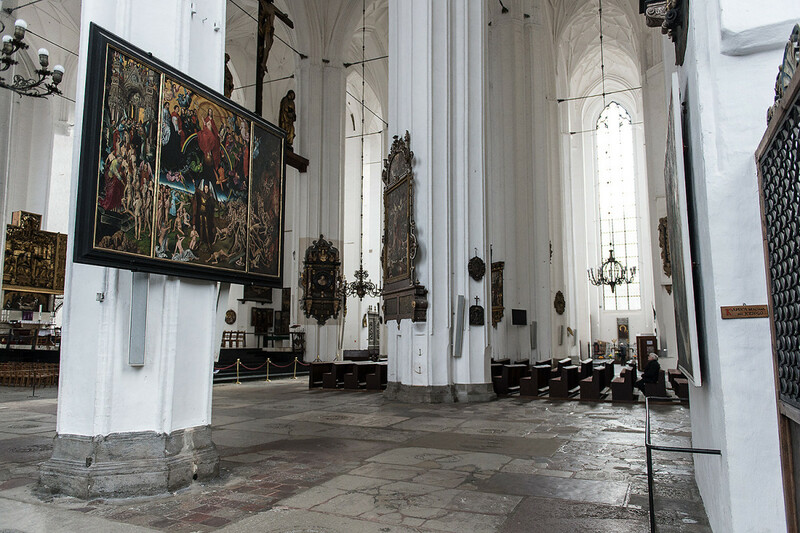 Inside we can admire: a late-gothic altar made of oak from 1510-1517, 4 metre figures of Christ, Mary and St John as well as a 10 metre crucifix from 1517. 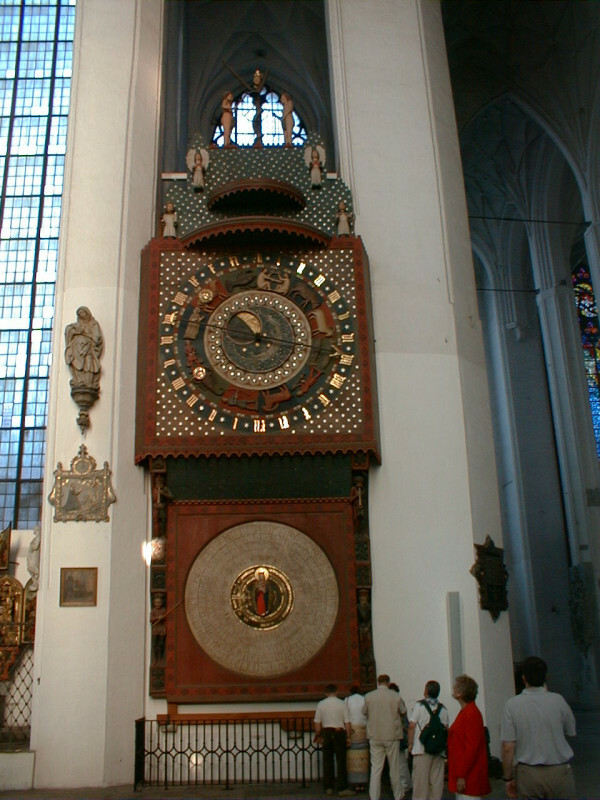 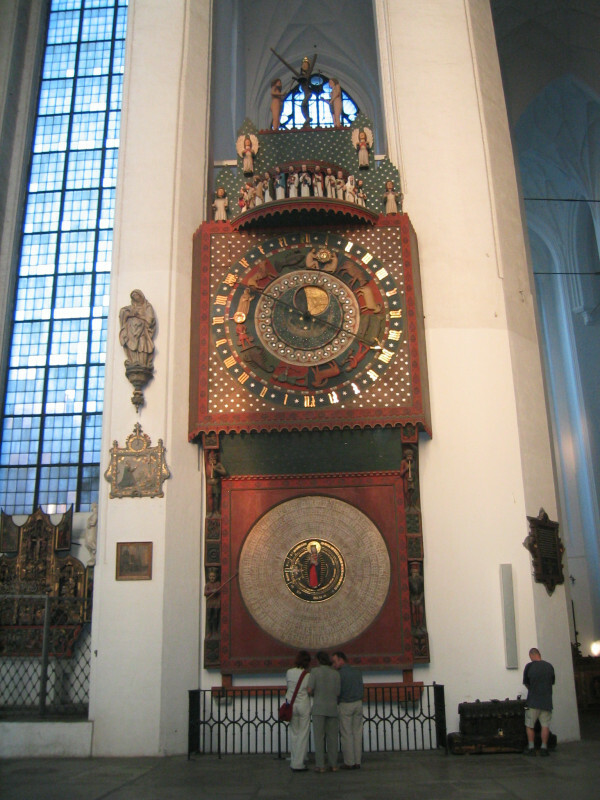 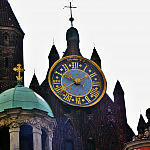 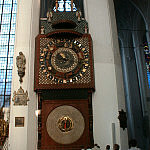 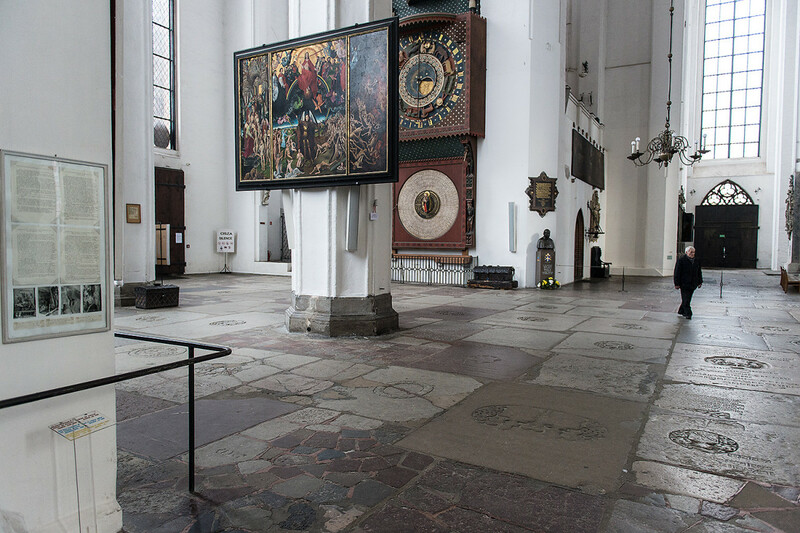 There is a replica of the famous astrological clock from 1464-1470, the work of H Duringer from Toruń. 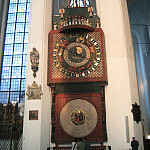 The 12 metre clock shows the hour, lunar cycles and signs of the zodiac. 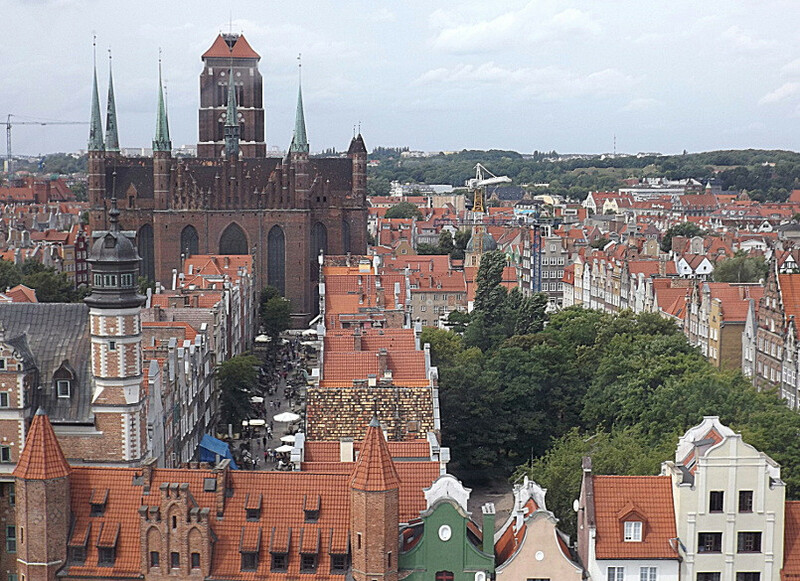 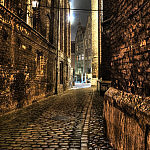 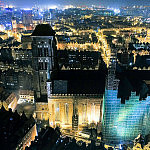 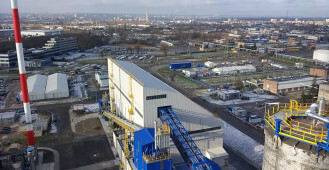 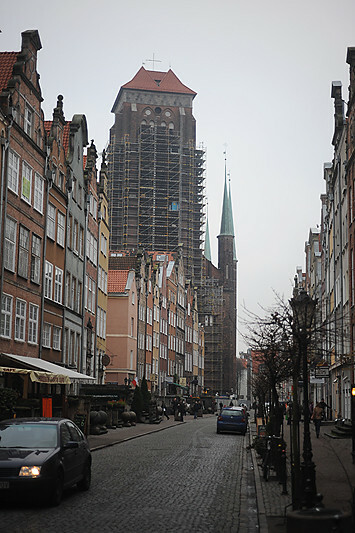 Just past the main entrance on the left are the steps leading up the 78 metre tall tower, from where, for a nominal fee, you can enjoy the panorama of Gdansk. 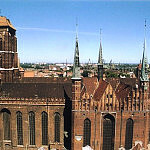 12th Century Where todays basillica stands today once stood a wooden church where its founder was buried in 1266 - Prince of Pomeranian Świętopełek. 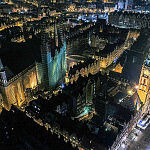 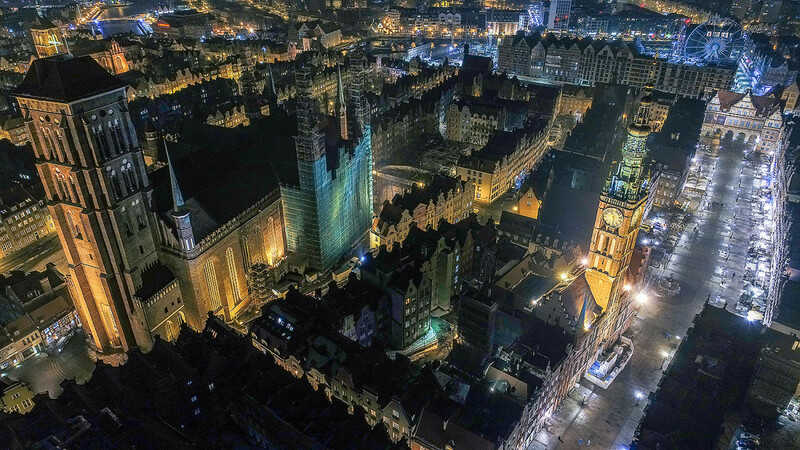 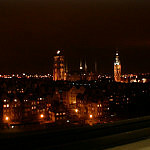 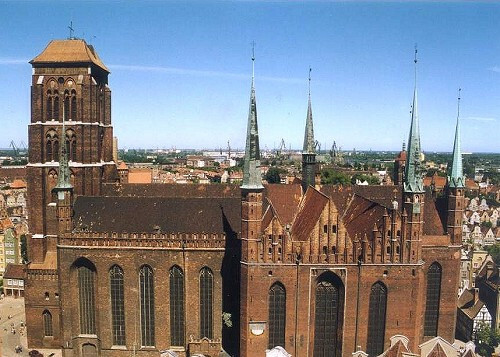 1343 The plot was designated for use by the Main Town for the construction of a parish church. 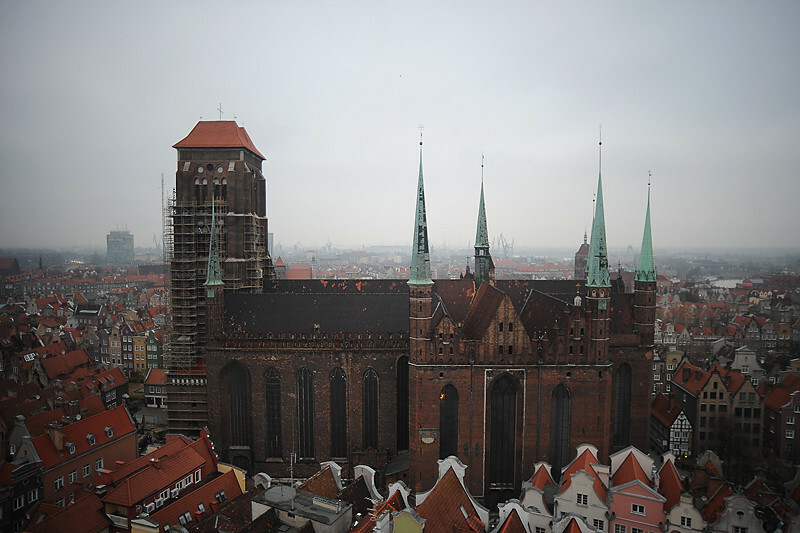 1361 Work was finished on the basillica whose main nave had the same dimensions as now. 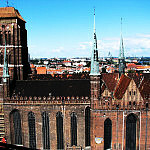 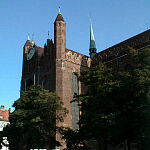 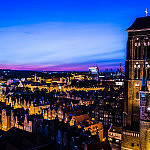 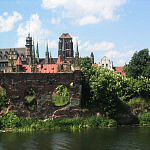 1379 The building of a tower up to the height of the roof as the Teutonic knights did not allow any building in the town to overshadow their castle. 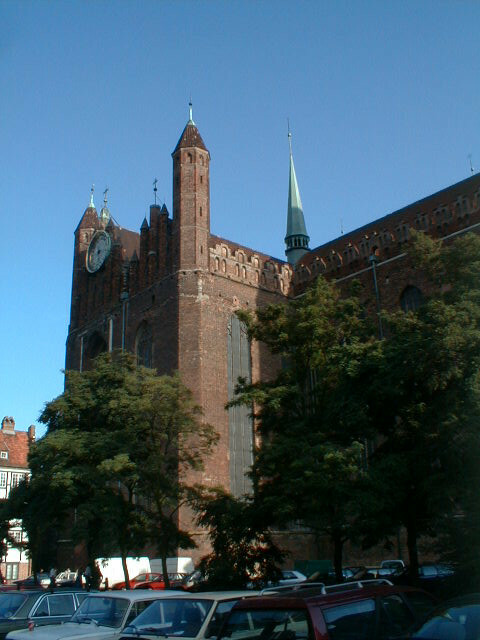 1410 King Władysław Jagiełło after victory at the battle of Grunwald gave the Town Council holy right of patronage, a priviledge held until then by the Teutonic Knights. 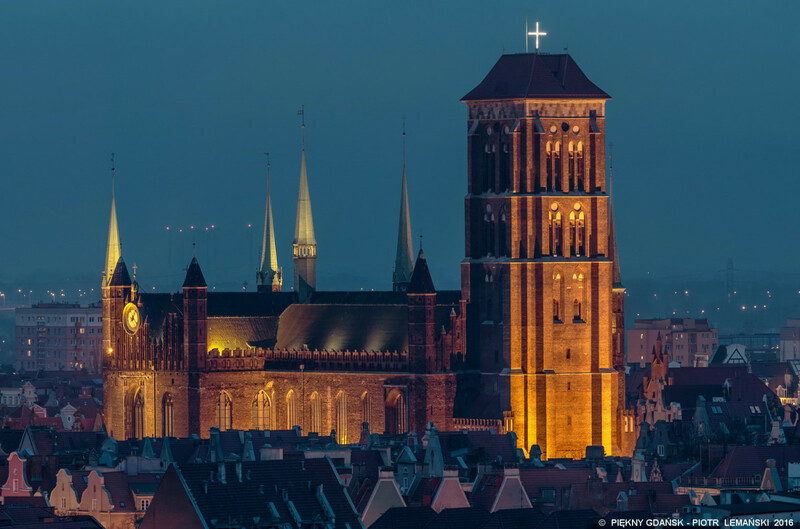 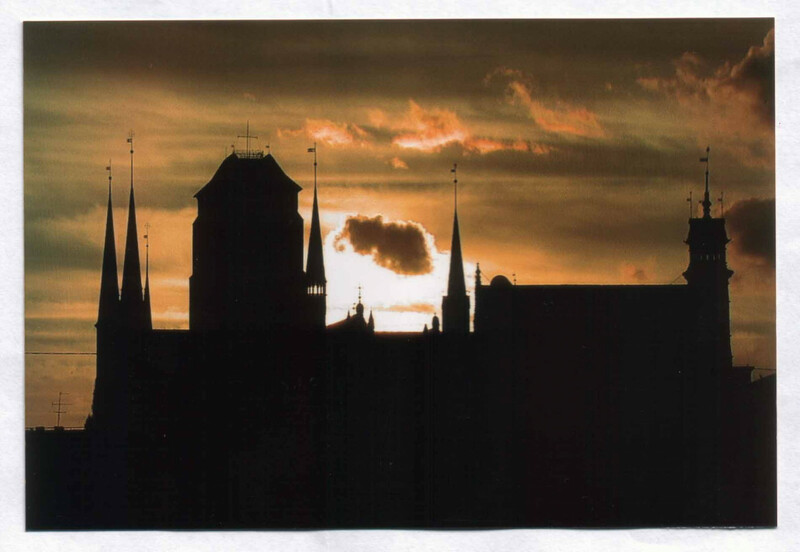 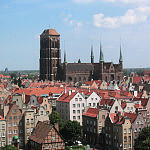 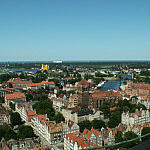 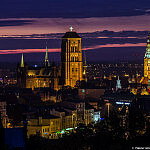 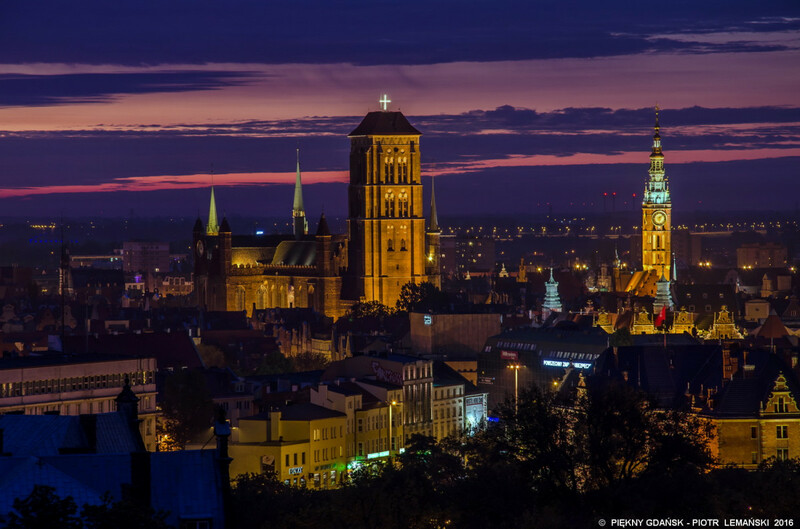 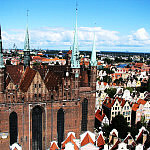 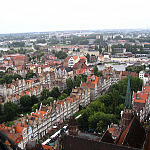 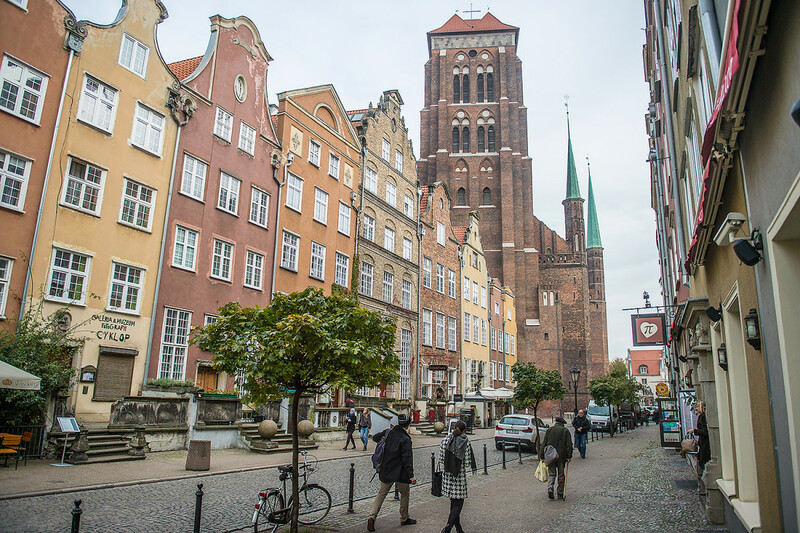 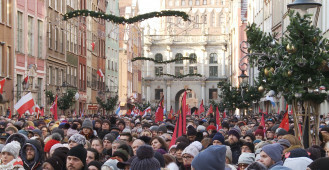 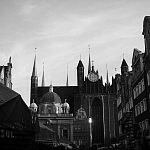 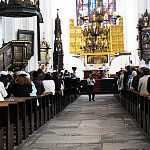 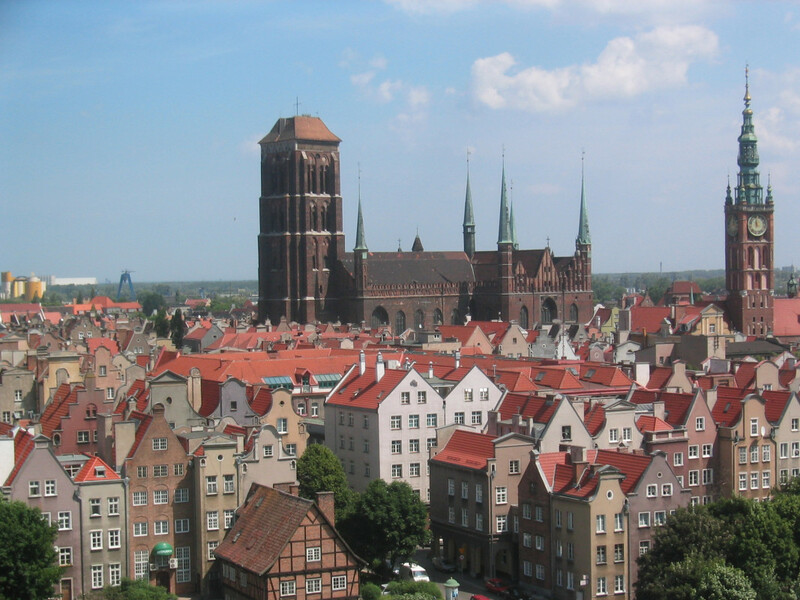 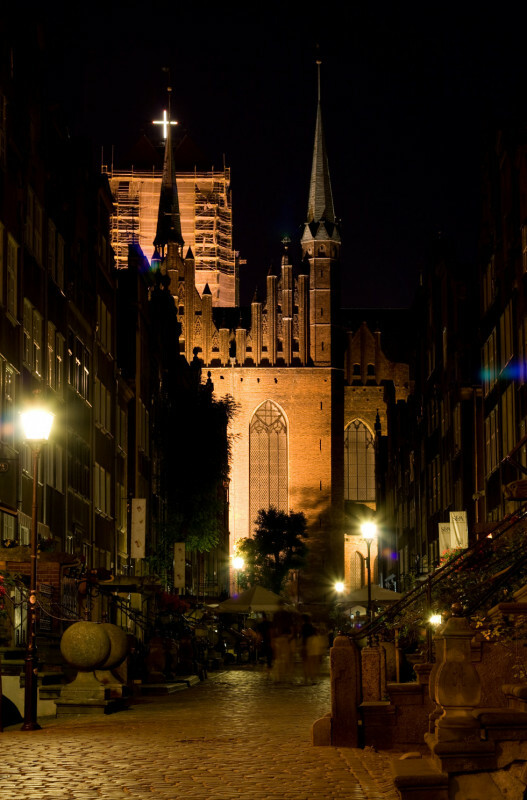 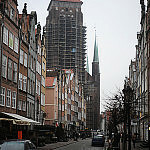 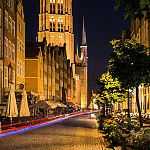 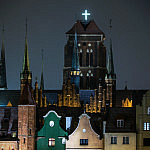 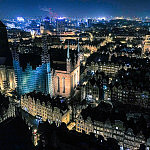 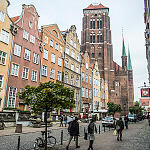 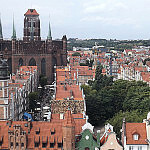 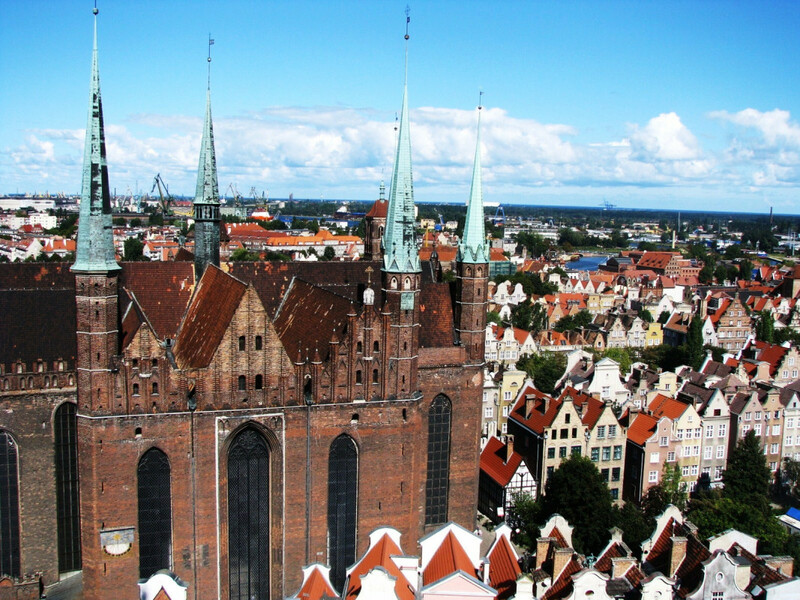 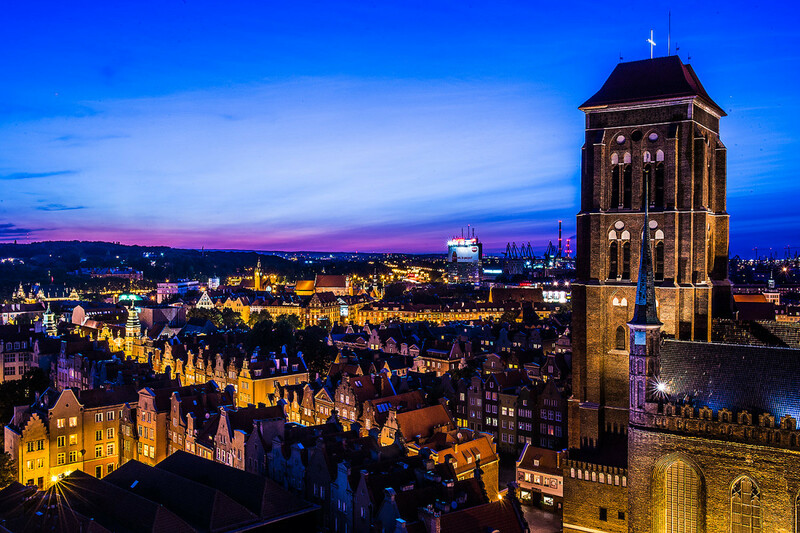 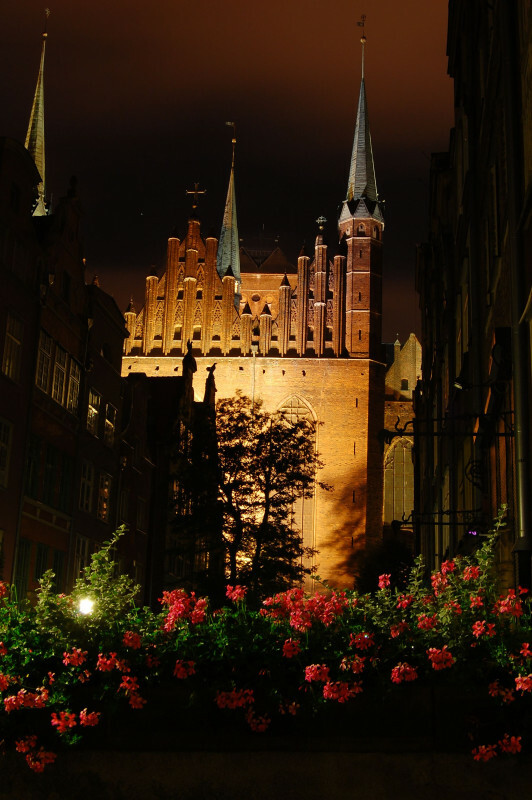 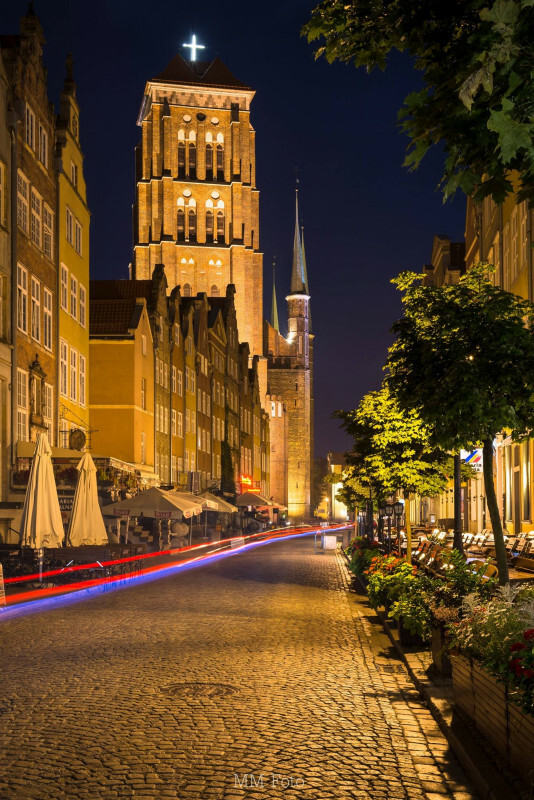 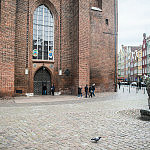 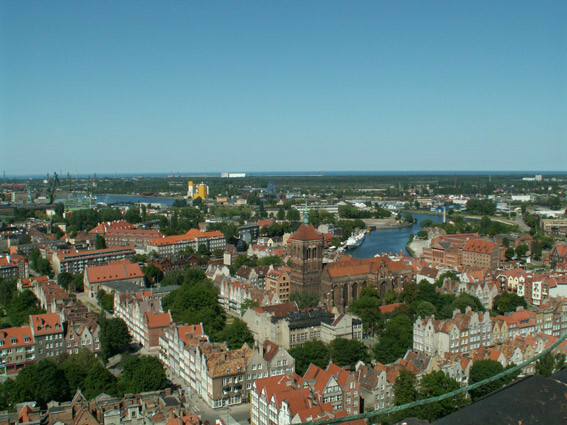 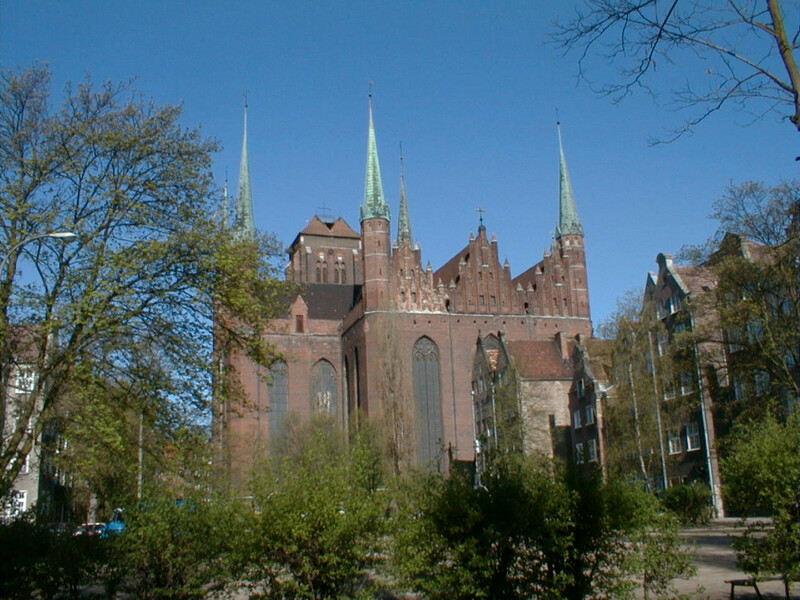 1411 Citizens of Gdansk hold a funeral in St Mary's for the Council leaders Konrad Leczkow and Arnold Wecht as well as Bartłomiej Gross, murdered in the Teutonic Castle, in a keep built by the town for the Polish King. 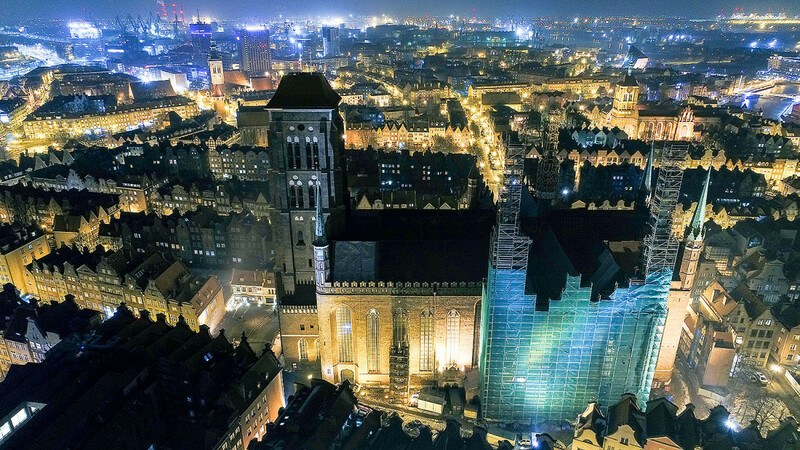 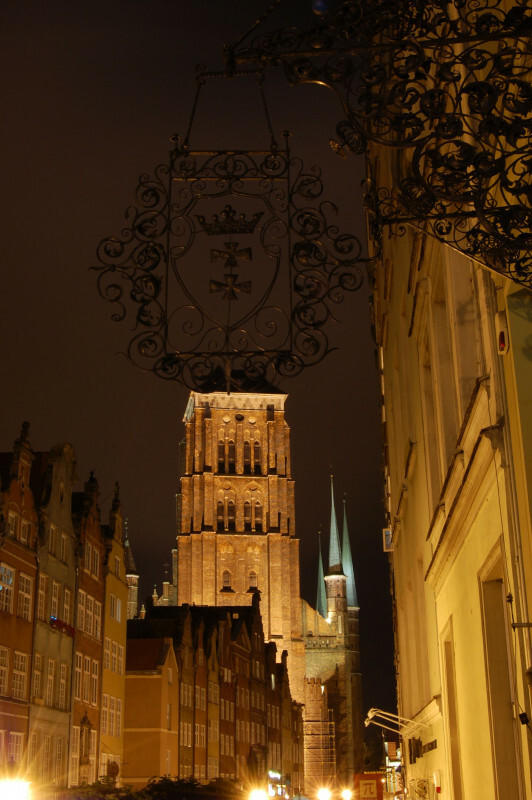 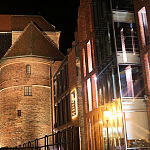 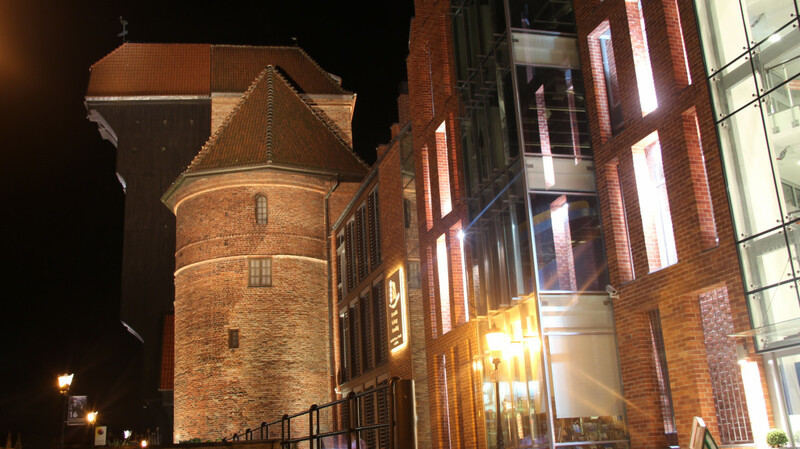 1413 Andzrej Słomow, a great lover of books, funded the first library in Gdansk, known as the Library of All Saints. 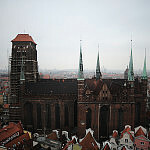 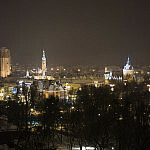 1457 King Kazimierz Jagiellończyk in a show of generosity towards Gdansk, took away from himself and his successors the sole right to appoint the rector of St. Mary's church. 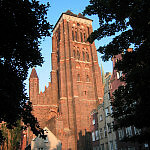 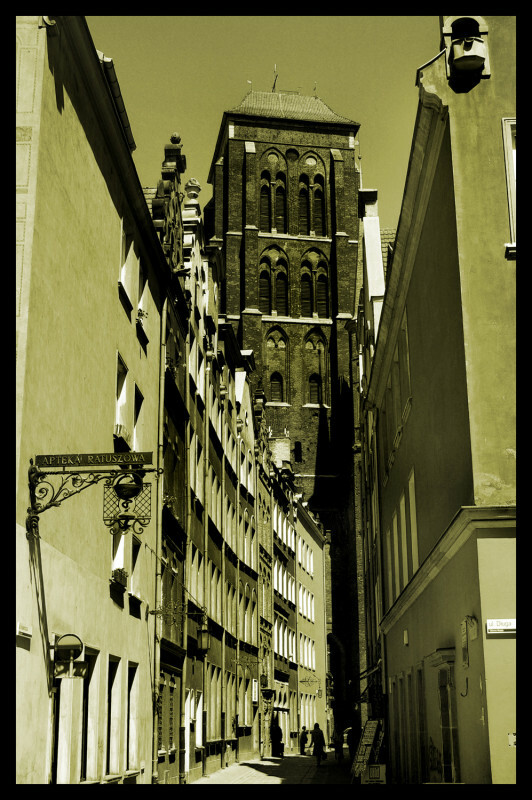 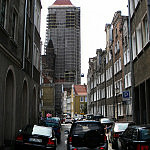 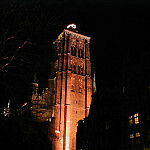 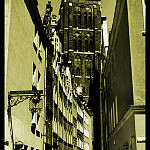 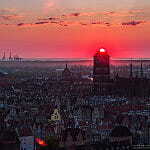 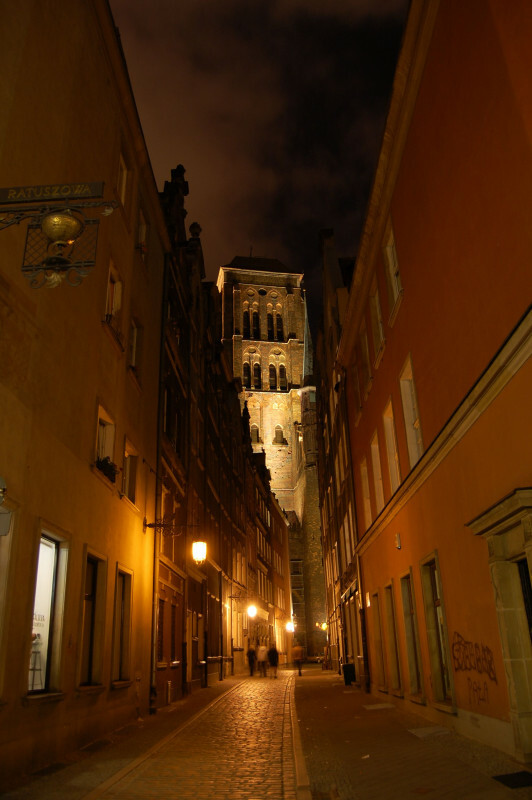 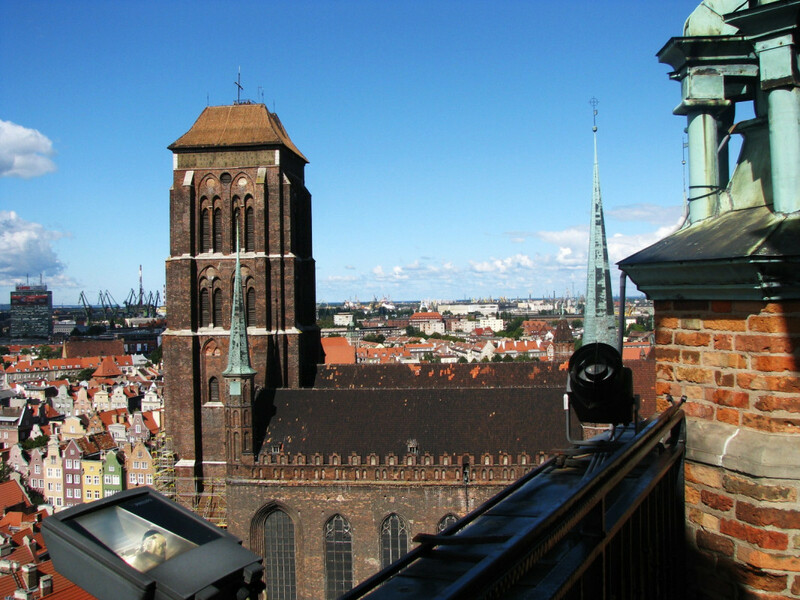 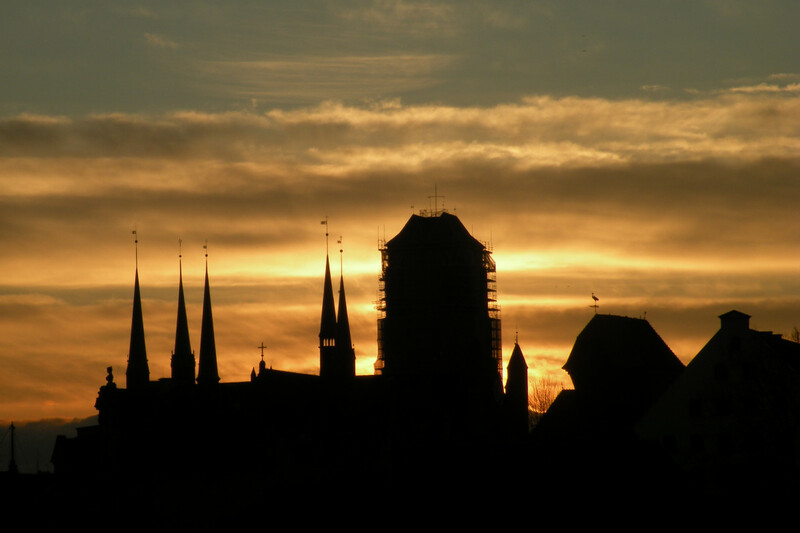 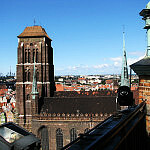 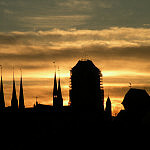 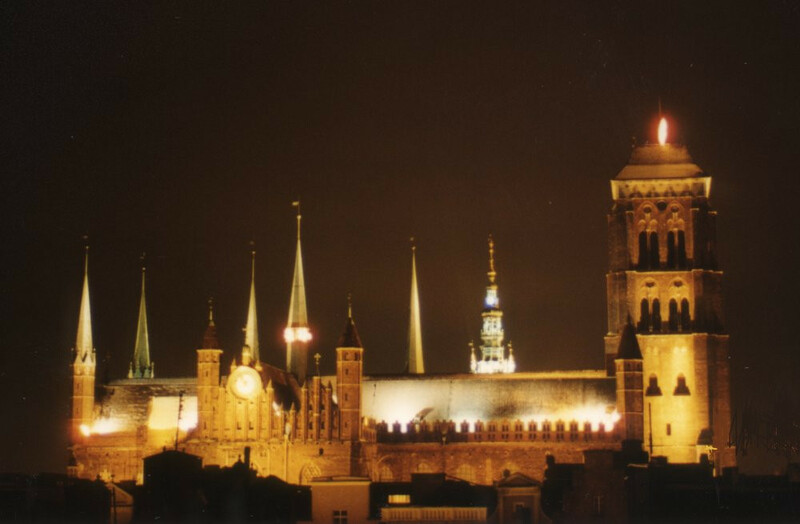 1466 After the elimination of the Teutonic Knights, the tower was extended to today's height. 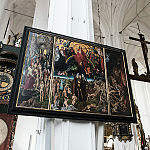 1473 The Gdansk sailor Paweł Beneke leaves the church the painting of Jan Memling 'The Last Judgement' taken in a sea battle during the war with England. 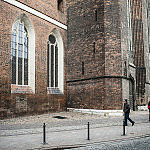 1502 The builder Henryk Henzel lays the last brick, ending around 150 years of construction work on the church. 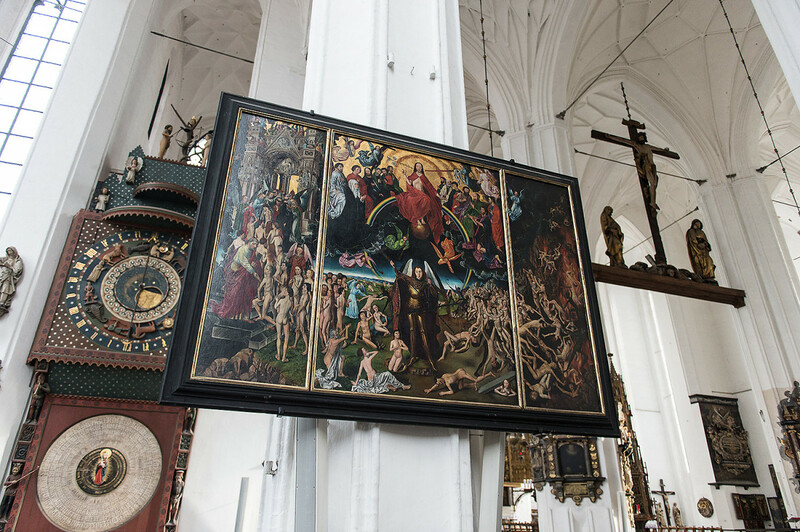 1517 Michał from Augsburg finishes work on the great altar. 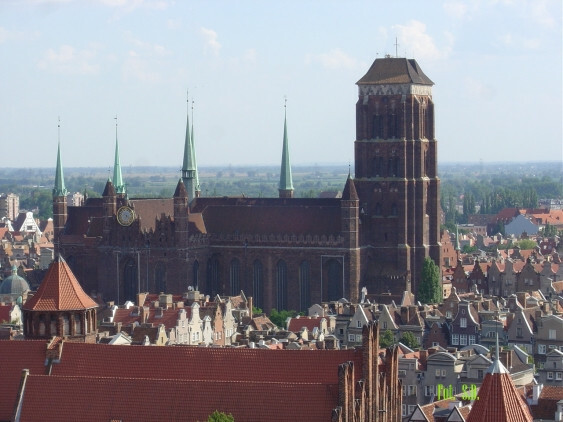 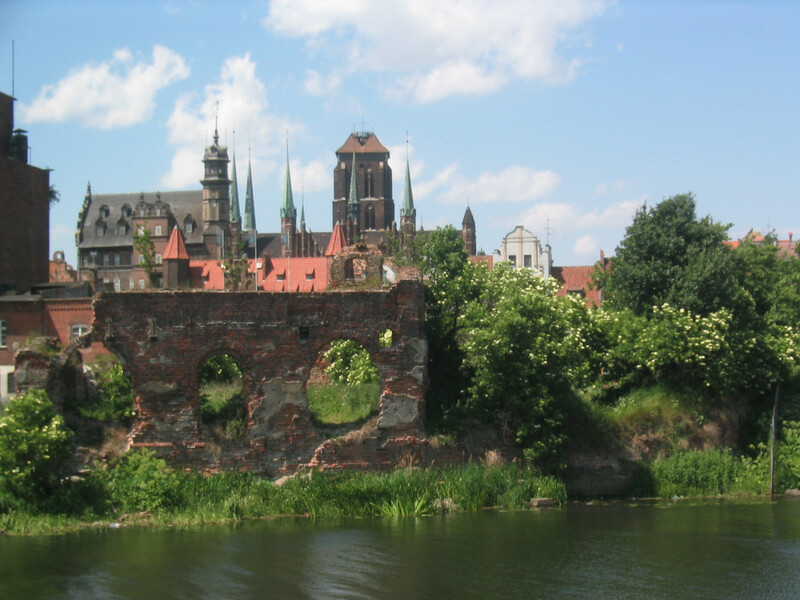 1524 Jan Dantyszek - the king's secretary, later to become the Warmurian Bishop, became the rector of the church. 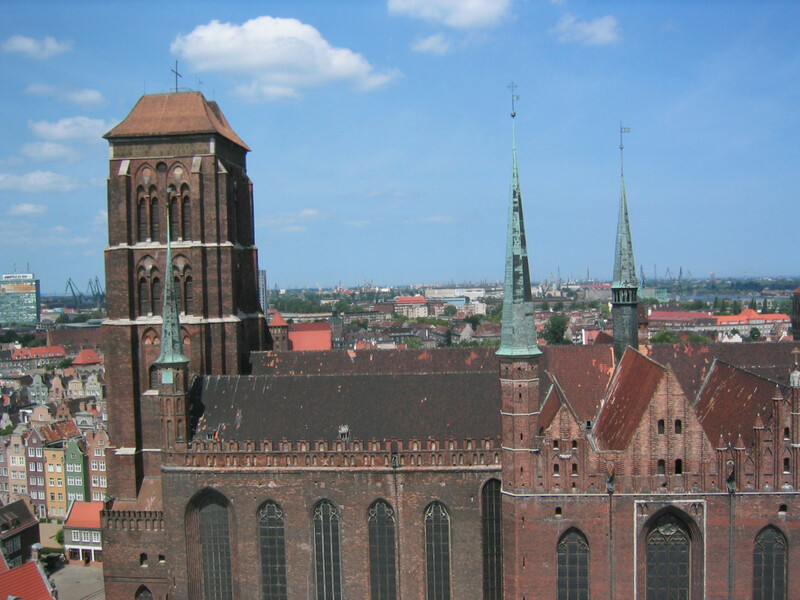 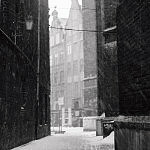 1529 The Dominican Pankracy Klemme brings in Protestant services to the church. 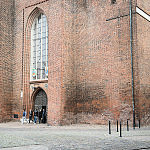 At the same time, Catholic lithurgies were also held. 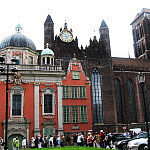 1678 Then rectorate of Our Lady is taken by Joachim Pastorius - a Protestant convert and historian. 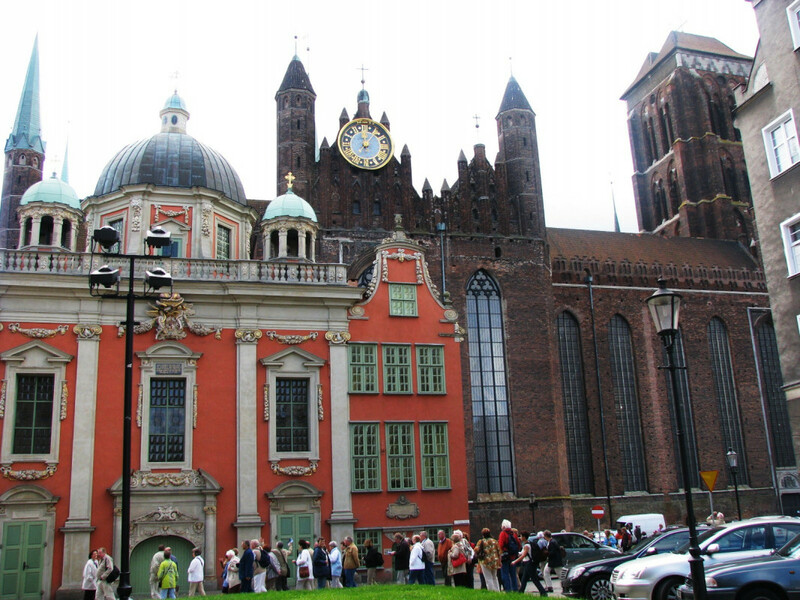 Secretary and historian of the Polish kings, and peace envoy in Oliwa in 1660. 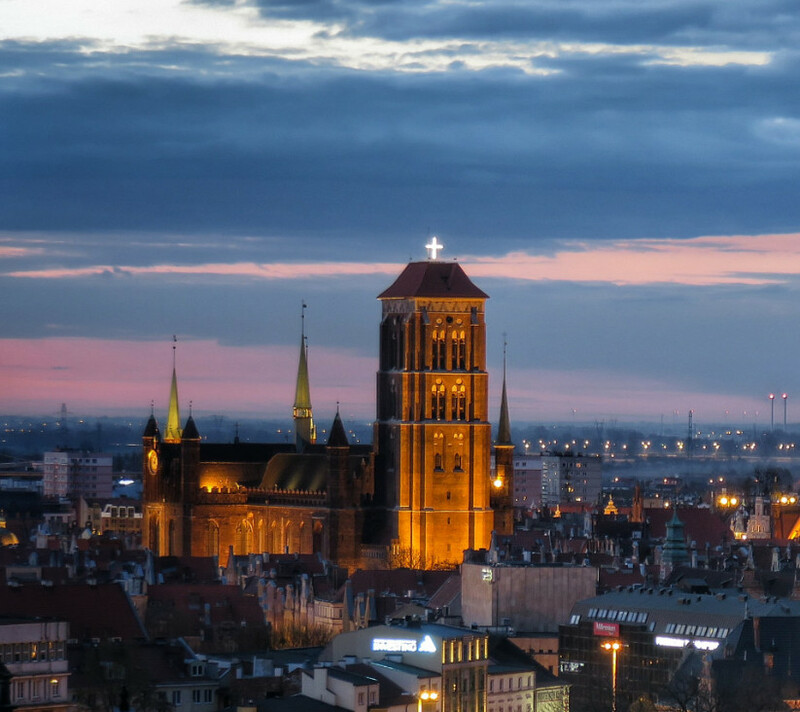 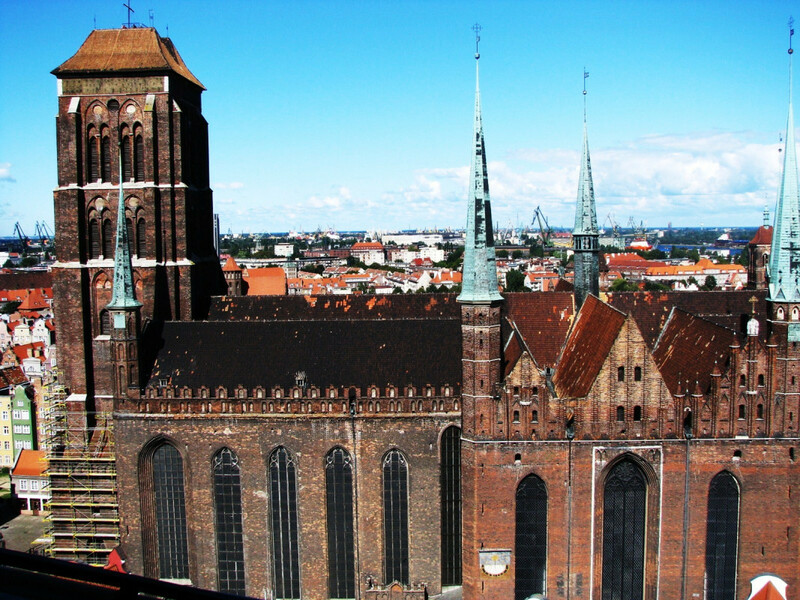 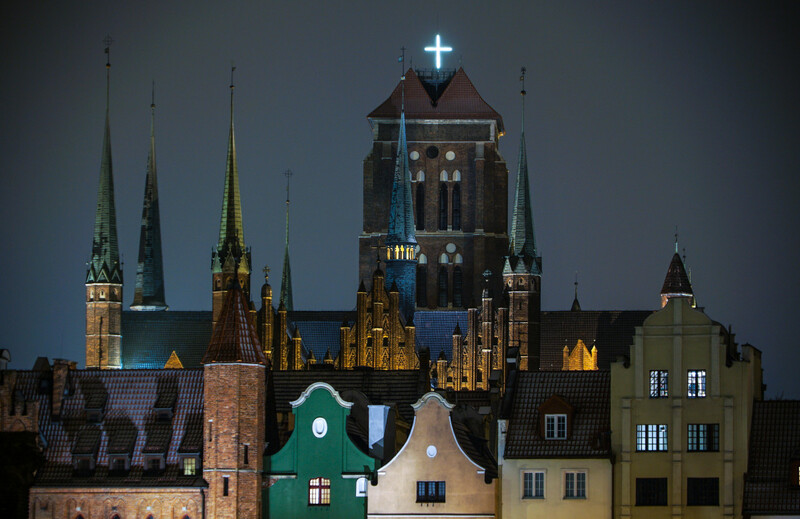 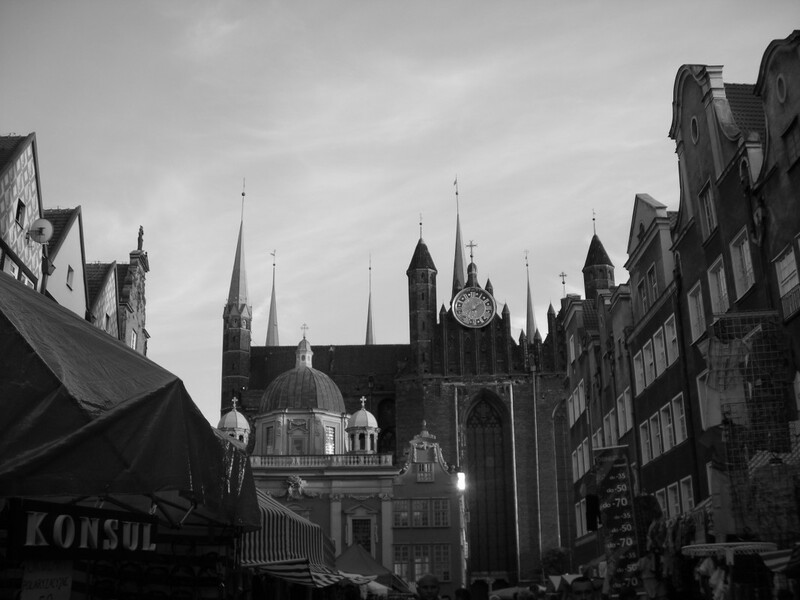 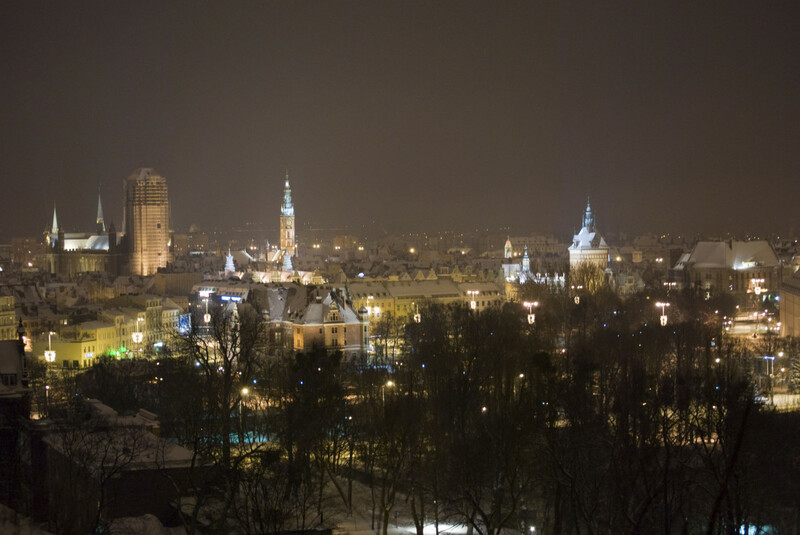 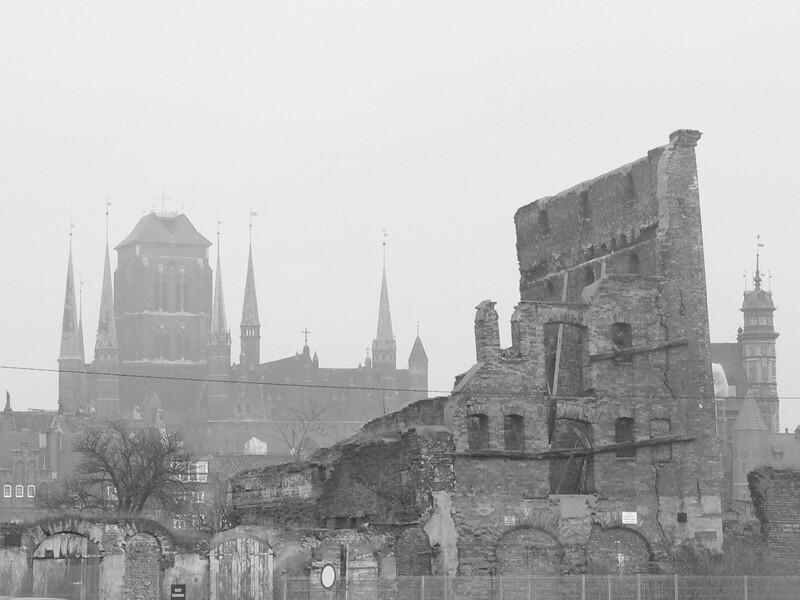 While in Gdansk, king Jan Sobieski III granted the Town Council permission to build a new Catholic church. 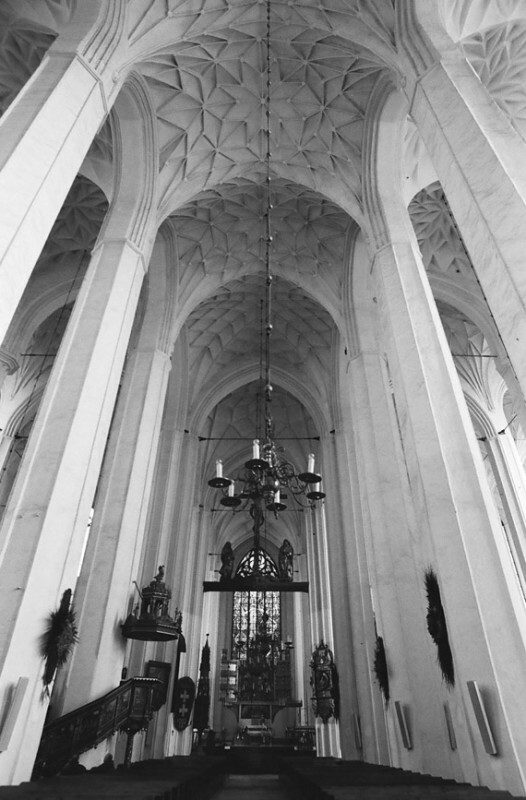 The king funded what was later to be called the Royal Chapel - the first of its kind. 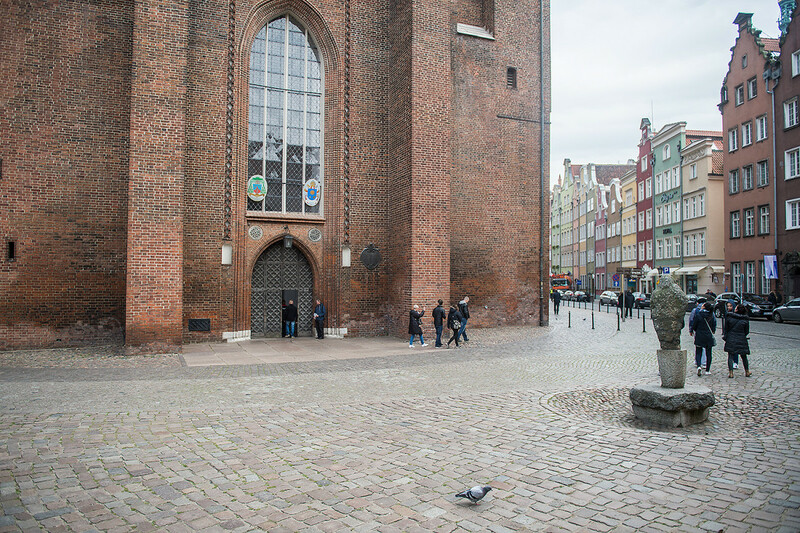 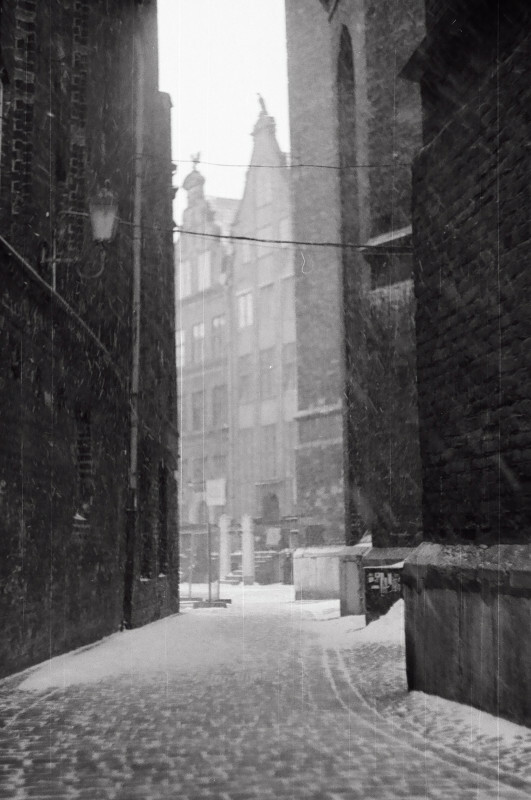 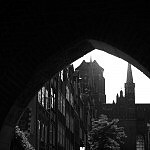 1683 In front of an audience of 40 people, behind closed doors, the Royal Chapel was blessed. 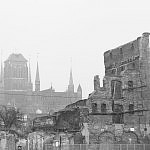 1945 The church was badly damaged during the war. 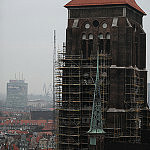 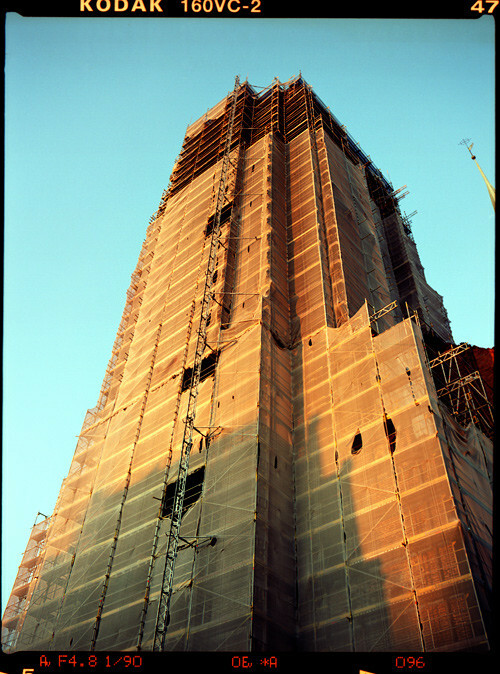 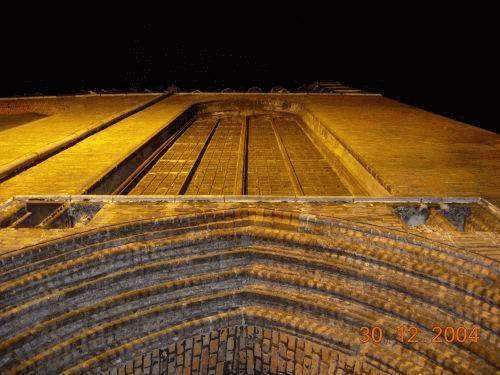 The roof of the main tower was blown off, the tower damaged and the interior burnt. 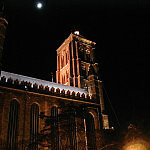 Six large bells fell down and shattered. 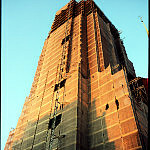 The roof along the entire main area fell in completely and the interior suffered considerable devastation. 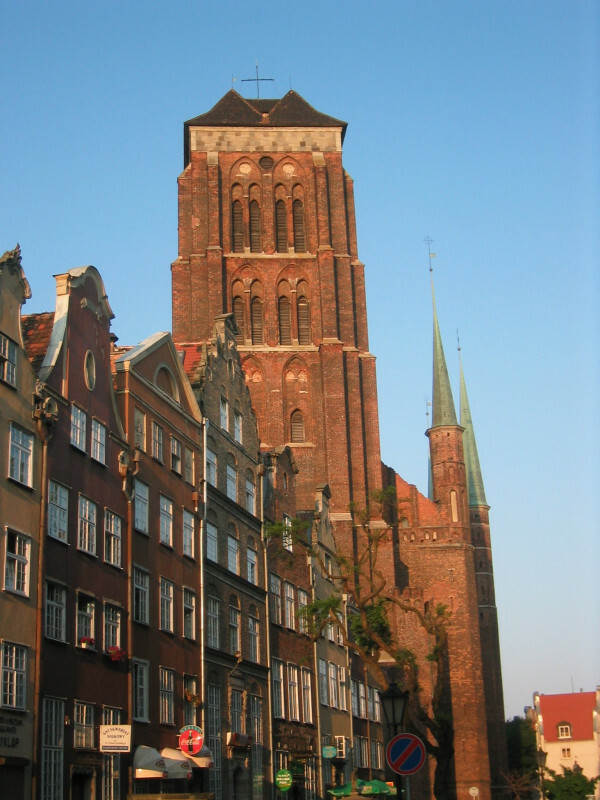 1946 The Town Council on behalf of the People's Republic of Poland gave over St. Mary's to the Vatican's authority. 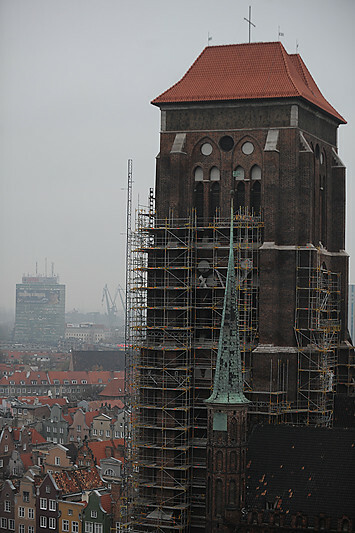 1952 Reconstruction work began on the church. 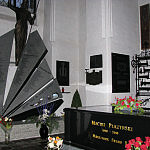 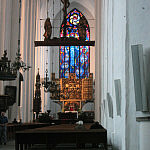 The interior was refurbished according to the old designs and a steel frame was put in for the roof. 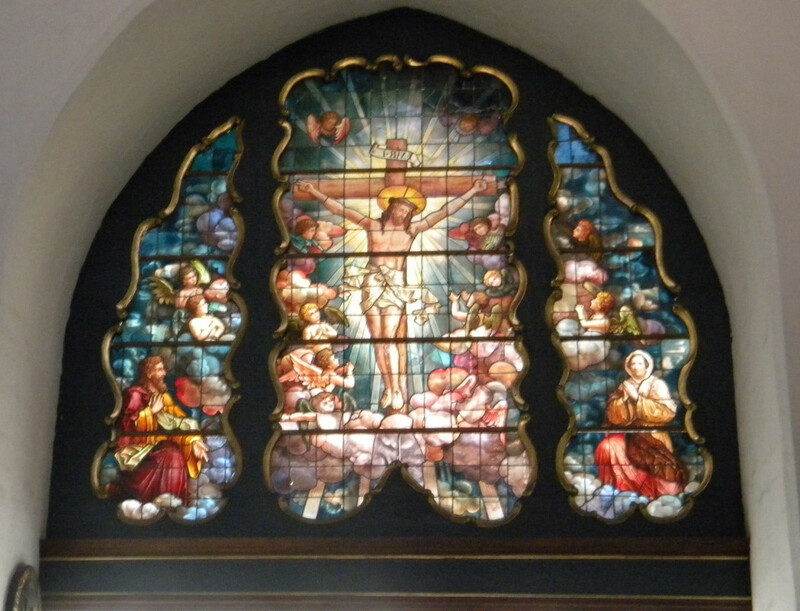 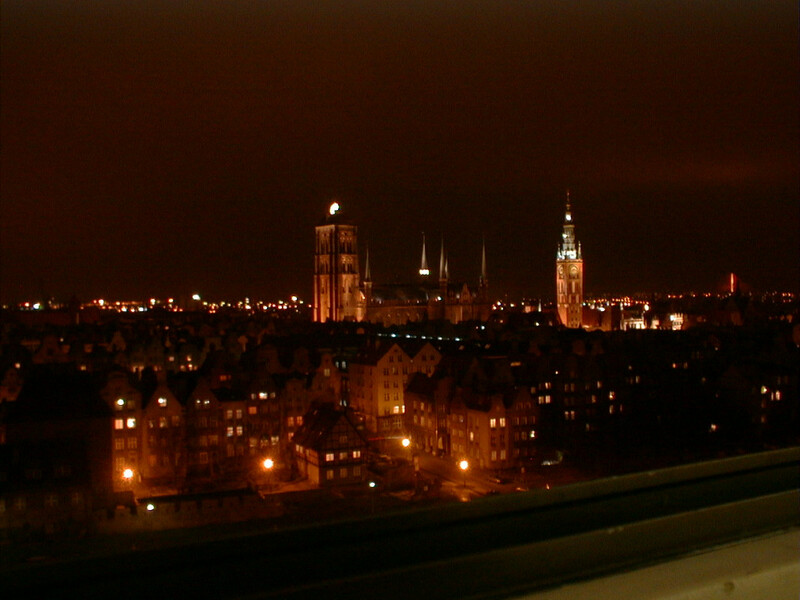 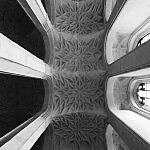 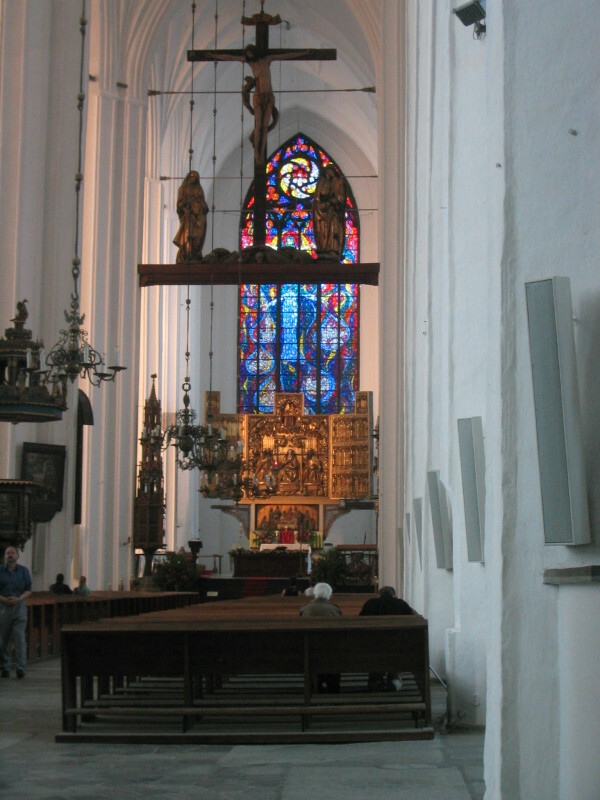 Further work was carried out on behalf of the Bishop of Gdansk: stain-glass windows, doors, interior decor. 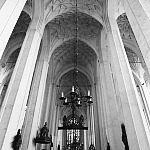 1955 Rev. 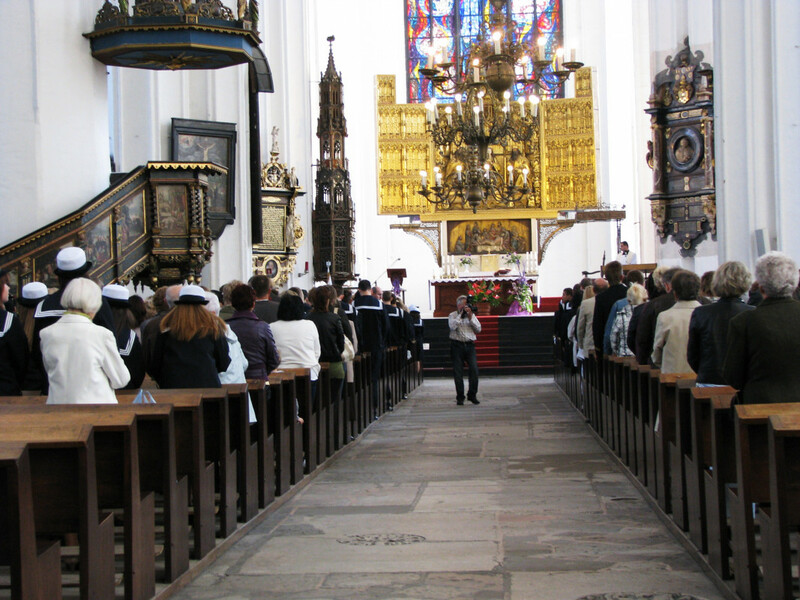 Jan Cymanowski - on the 17th November blessed the church and conducted its first mass after a 400 year break. 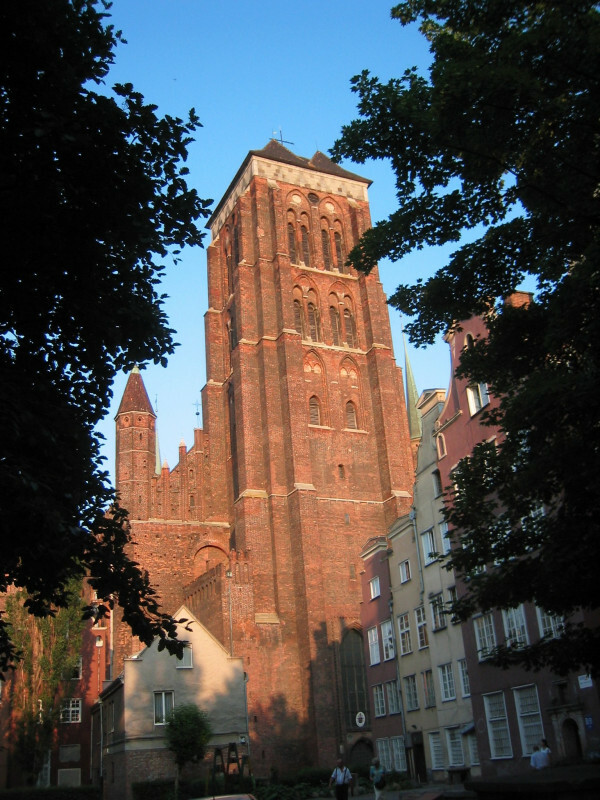 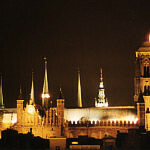 1965 Pope Paul VI changed the status of St Mary's from 'church' to 'lesser basillica'. 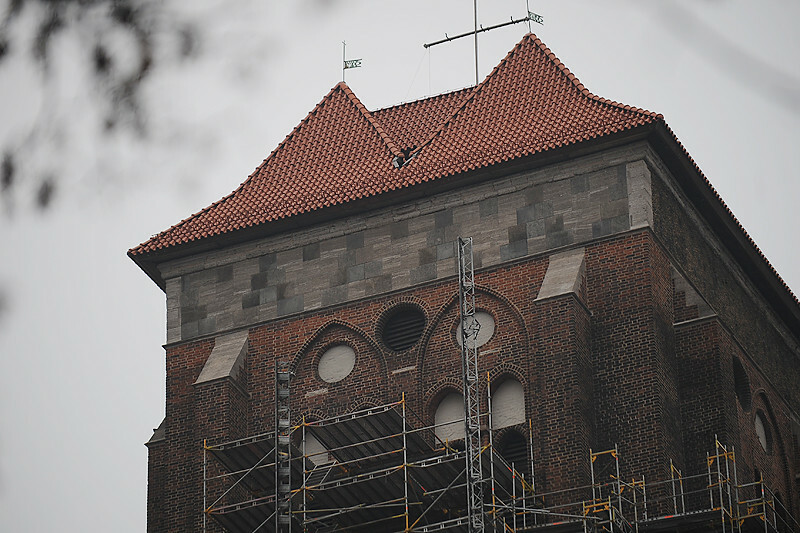 Po Krakowie widzę jak potrzebny jest remont ! 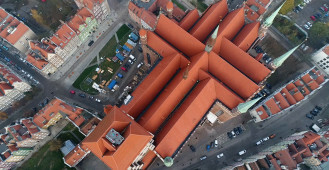 Wszędzie w Kościołach o takim przepływie turystów są pobierane opłaty za zwiedzanie i osobno za fotografowanie . 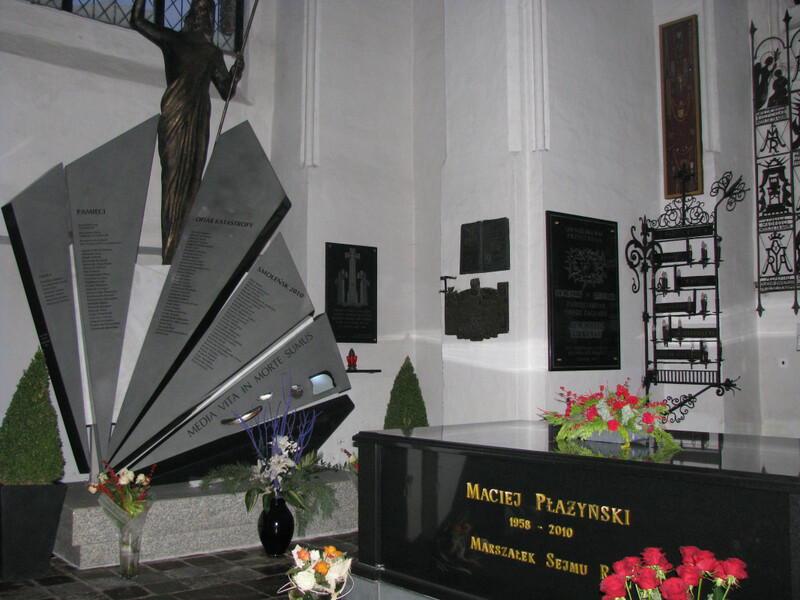 Niestety taka liczba turystów wcale nie służy zabytkom ,trzeba ogromnych pieniędzy na utrzymanie i konserwacje ! 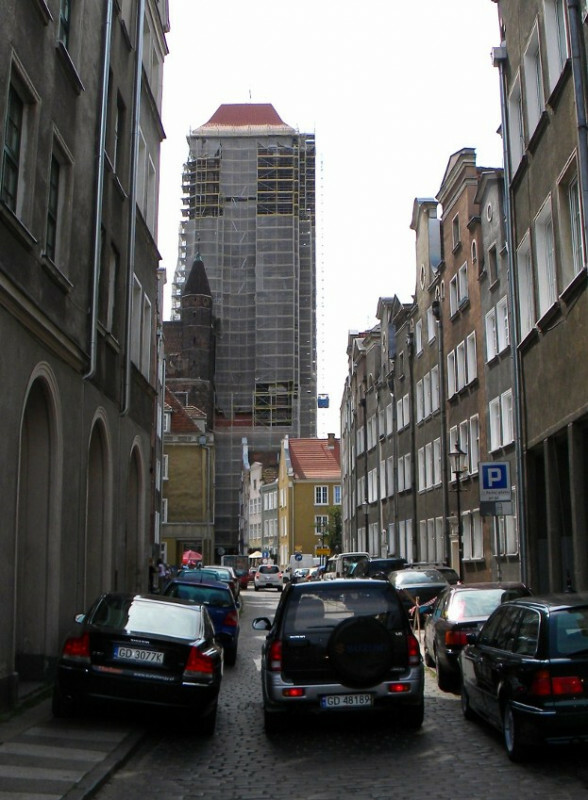 Zwiedzanie pereł architektury to nie tylko przywilej ale i obowiązek !